Jamie is an Engagement Manager based in our London office. He works in our three practice areas of competitive intelligence, market research and market access consulting across multiple therapy areas, including oncology, rheumatology, dermatology and inflammation. Jamie regularly attends industry and medical congresses, facilitates competitive workshops, and is an accomplished speaker. 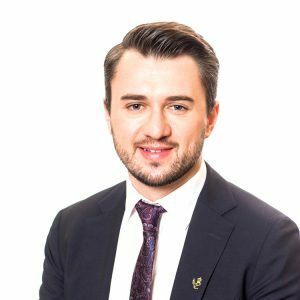 As a Senior Consultant, Jamie is responsible for project management and client service, ensuring our client’s key business questions are addressed, providing actionable strategic insights. Prior to joining Lifescience Dynamics, Jamie was an oncology analyst at GlobalData, a company delivering business intelligence products to the pharmaceutical industry. Jamie authored multiple reports, and his expertise of the breast cancer and multiple myeloma markets were regularly featured in top-tier healthcare news outlets. Jamie received his PhD in Chemistry from The Institute of Cancer Research, Royal Cancer Hospital, London, UK, where he researched a new class of kinase inhibitor for a variety of cancer targets. In this world-leading institution, he experienced the key stages of translational pharmaceutical research. He holds a Master’s degree in Medicinal Chemistry from the University of Leeds, UK, where he also spent a year working in the cardiovascular and gastrointestinal chemistry section at AstraZeneca. Outside of work, Jamie is a qualified group fitness instructor, regularly teaching BODYPUMP classes.